Keen on becoming a quilter? What are you waiting for! Quilting is a fun, engaging hobby and it’s the perfect way to unwind after a stressful day. In addition to being a wonderful way to pass time, quilting allows you to explore your creativity. Plus, it’s a serious confidence booster. More on the benefits later. First, let’s find out what quilting is, and where and when the art form began. In simple terms, the art of quilting is stitching two or more layers of material together, which produces a heavier fabric. Most commonly, quilting incorporates three layers, including the quilt top, batting, and backing. Although historians have attempted to piece together the history of quilting, its roots are largely unknown. A quilted garment covering an ivory figure of an ancient Egyptian pharaoh dating back to 3400 BC is believed to have been one of the first quilted pieces of clothing. A quilted rug dating back to somewhere between 100 BC and 200 AD was discovered in Mongolia in 1924. It’s known that quilting was adopted in Europe around the fifth century, although the art really took off in the twelfth century, when quilted garments were actually worn under, or in place of, armor. In the fourteenth century, wealthy European men began wearing quilted doublets. As far as quilts made for bedding, the earliest surviving piece in Europe dates back to the late-fourteenth century. The quilt was constructed from linen and wool. 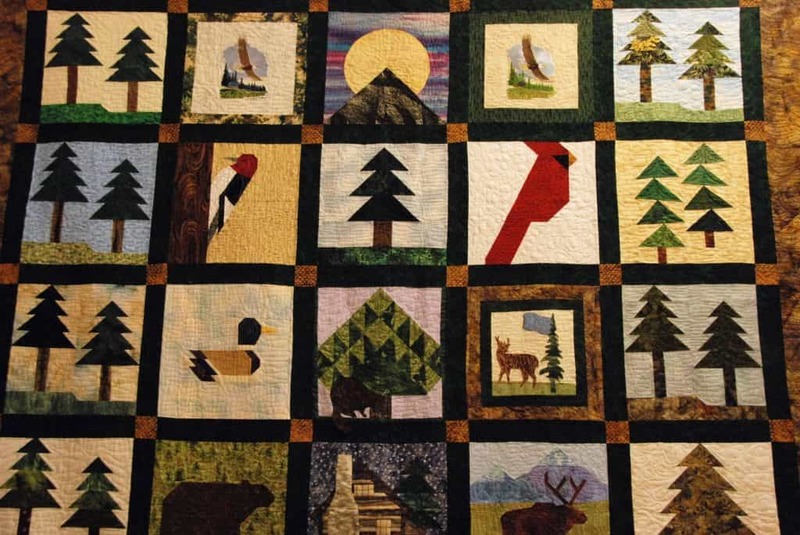 Quilting in America dates back to colonial times. It wasn’t until much later, in the 1770s, that patchwork quilting made its way to the U.S. The history of quilting is rich and fascinating. Distinct styles have emerged throughout the world at different times. Native Americans created the Lone Star quilt design, while Swedish quilters created elaborate, decorative quilts made from silk, wool, and felt. Quilting remains wildly popular today, and quilters now have more options than ever, thanks to a wide variety of techniques, supplies, and fabric options. While hand quilting is still practiced, advances in technology have made quilting by machine a viable option. Many quilt shops now have long-arm quilting machines and offer quilting and binding services. It’s a stress reliever: Repetitive tasks like quilting activate the parasympathetic nervous system. 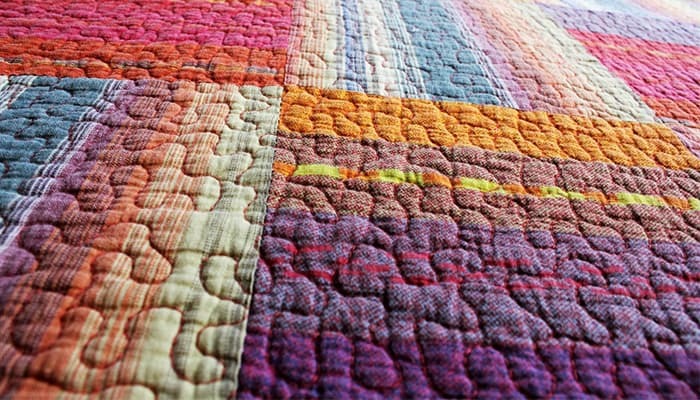 If you’re frazzled after a busy day, quilting can actually reduce stress and calm you. It boosts confidence: Quilting is a workout for the brain. While flexing your creative muscles, you’ll also be problem-solving, which increases confidence. It boosts mood: The fabrics you choose to quilt with can actually improve your mood. Quilters tend to pick colors and prints that bring them comfort and joy. As we’ll discuss later, fabric options are virtually endless, so you’re sure to find plenty of prints you love in your preferred color palette. In addition to the positive response quilting itself elicits, the feeling that comes with finishing a project and sharing it with friends and family is simply amazing! It leads to deeper connections: Once you become part of the quilting community, you’re bound to form new friendships. From quilting guilds to online groups and forums, it’s easier than ever to meet fellow makers and create lasting connections. Creating a quilt top can include a variety of methods. Your quilt top may consist of a single fabric or multiple fabrics pieced together, and you may choose to enhance the piece with applique, embroidery, or both! Some people find quilting by hand a tedious, unpleasant task, while others find it soothing and enjoyable. Hand quilting certainly takes more time than quilting via machine, so if you don’t have a tight deadline, I’d recommend trying hand quilting. If you were to see a hand quilted project next to a machine quilted item, you’d likely notice the fabric quilted by machine has a tighter appearance. Standing hoops and floor frames can be helpful for keeping your fabric tightly in place during hand quilting. Because these tools are an investment, I’d recommend trying them out at a quilt shop before purchasing one, if possible. This video tutorial by Wendi Gratz is excellent. In the first few minutes of the video, Wendi covers the basic supplies needed for hand quilting. We’ll cover those later, so if you’d prefer to only watch the tutorial, skip ahead to 4:27. If you’d like to give machine quilting a try, you have several options. Many modern sewing machines come equipped with built-in quilting stitches that produce professional looking results. If you have access to a long-arm quilting machine, definitely give it a try! Unfortunately, these machines take up a considerable amount of space and are a costly investment. My #1 tip for machine quilting is to start small and work your way up to larger projects. 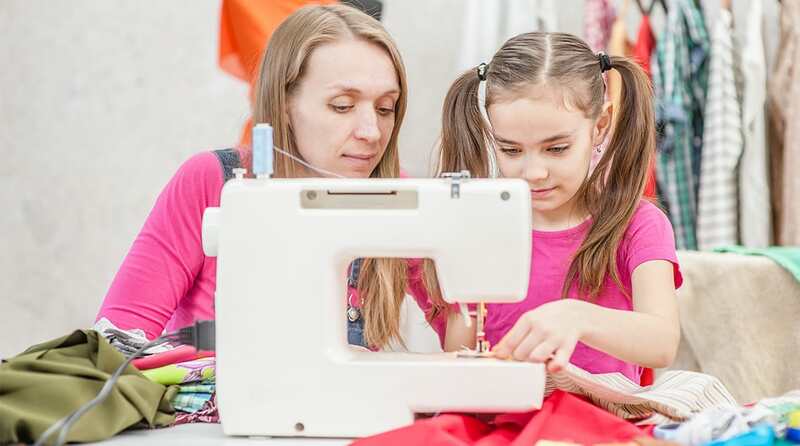 Some sewing machines with quilting features lack the capability of handling bulkier projects. For this reason, many quilters use a combination of hand and machine sewing techniques. One major bonus is the fact that quilting by machine often results in tightly stitched fabrics. With that being said, I find that the looser fabric produced by hand stitching is lovely. This is a matter of personal preference. Quilter Leah Day regularly publishes tutorials online for quilters of all skill levels. Check out her demonstration video on machine quilting for beginners here. Now that we’ve covered the basics of hand and machine quilting, let’s run through the list of supplies you’ll need and where to find them. Below, I highlight some must-have tools and my favorite fabric shops, along with some money-saving tips for the budget-conscious quilter. High quality thread: Even if you’re trying to save money on quilting supplies, I highly recommend investing in good thread. At first, you’ll just need a handful of neutral colors. I particularly love the “salt and pepper” collection from Connecting Threads. Sulky and Madeira are also excellent options. Basting safety pins: Stock up on these pins; you’ll be using them often! Thankfully they are inexpensive and typically come in large packs. One of my favorite brands is Dritz. I’m also a fan of Singer’s curved safety pins. This set comes with a clear plastic flower-shaped case, but it’s pricier than the Dritz pins previously mentioned. Straight pins: In addition to safety pins, you’ll need to purchase a pack of straight pins. This Dritz pack comes with 250 pins and is relatively inexpensive. I should note that you can also find the majority of the supplies listed at your local craft or quilting shop. Needles: It’s important to have needles on hand that will work with your chosen fabric. I recommend picking up hand quilting needles whether you plan to quilt by hand or machine. If you’ll be quilting via machine, be sure to pick up a pack of machine quilting needles. I prefer packs with assorted sizes. Keep in mind that the smallest needles have the highest size numbers. Batting: This will serve as the middle layer of your quilt, and there are many types to choose from. I prefer cotton, as it’s soft, lightweight, and breathable. Bamboo and wool are also excellent choices. Fabric: In addition to the fabric for your quilt top, you’ll need additional fabric for the border and binding, as well as fabric for backing. 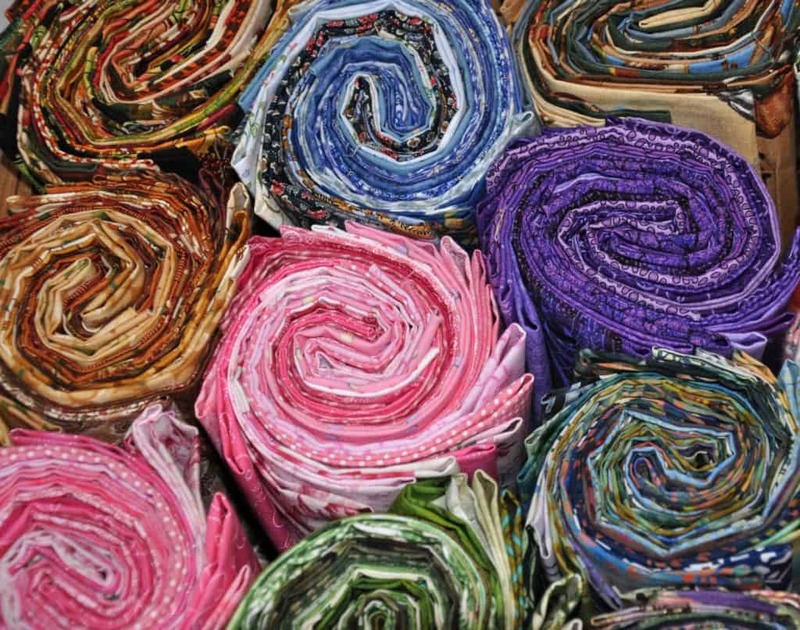 The amount of fabric you’ll need largely depends on the size of your quilt. As a frame of reference, a lap quilt typically measures 50” x 65”. I’m rather tall, so I prefer an oversized lap quilt. I typically purchase enough fabric to make a twin-size quilt, which is 70” x 90”. A sewing machine: If you plan to hand quilt exclusively, you won’t need a machine. If you’re keen on machine quilting, however, you’ll need a sewing machine with a quilting foot (or walking foot). In a previous article, I highlighted the 5 best sewing machines for beginners. My top pick for new sewists and quilters is Brother’s CS6000i Sewing and Quilting Machine. This versatile machine is affordable and user-friendly. Storage containers to organize your pins, threads, and needles. I also store my fabric squares in clear containers for safekeeping. I absolutely love shopping for fabric in person. Simply type “fabric shops” and the name of your town into Google, and you’ll be met with a list of quilt and craft stores that carry fabric, often with reviews and ratings. 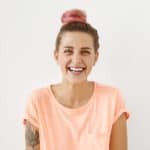 Spoonflower: From adorable, kitschy prints to gorgeous florals, Spoonflower carries a wide variety of fun and pretty fabrics. The site is easy to navigate with categories such as, All-Time Bestsellers, Trending Now, and Daily Favorites. While it’s not the most affordable option, I do love to splurge here occasionally. Fabric: I’m a massive fan of this site! This online superstore offers an array of high-quality fabrics. From novelty and licensed prints to holiday favorites, fat quarter collections, jellyrolls, and quilting kits, you’re bound to find something you love! Joann: Joann carries loads of fabric options in-store, but if you’re anything like me, and love leisurely browsing pages of fabrics online, their website is the way to go. Shop by color or style, and have your purchased shipped to your home or free to your local store. The best part of shopping Joann? You can read reviews of the fabrics you’re considering! Ikea: Although they don’t currently offer fabric for purchase online, Ikea carries a great selection of prints and solids at reasonable prices. Visit their site to see if the fabric(s) you choose are available at a store near you. Start small: I would not recommend tackling a king-size quilt for your first project. Start with a baby quilt, wall-hanging, or lap quilt. Determine how much fabric you’ll need before shopping to ensure you don’t buy too much or too little. Don’t spend a fortune: Start with inexpensive fabrics. Set a budget and stick to it. Opt for quilt patterns with squares and/or rectangles: Starting with easy shapes will make the experience more enjoyable. Don’t shy away from pre-cut fabrics: I’m fond of fat quarters and other pre-cut fabrics, and I always recommend them to beginners. They’ll save you lots of time and energy! Although quilting can be a pricy venture, there are countless ways to save money that can make it a budget-friendly craft. Look for coupons: Big box craft stores offer money-saving digital coupons you can use online or in-store. Many of these chains allow shoppers to stack coupons. Some will even send you coupons via text. I rarely pay full-price for items at these crafty retailers, thanks to sales and coupons. Get thrifty: Before you pay a pretty penny for quilting supplies, check your local thrift stores for hidden treasures. Take a class: If you’re a beginner quilter and don’t have supplies on hand, consider taking a quilting class at a local craft or quilt shop. You’ll get to try out materials before adding supplies to your quilting toolkit. Don’t pay for patterns: Later in your quilting journey, you may choose to purchase patterns, but I recommend using as many free resources as possible when you’re getting started. Don’t pay full-price for fabric: Most fabric and craft stores have a clearance section. In addition to using money-saving coupons, look for discounted fabrics to create your first quilt. 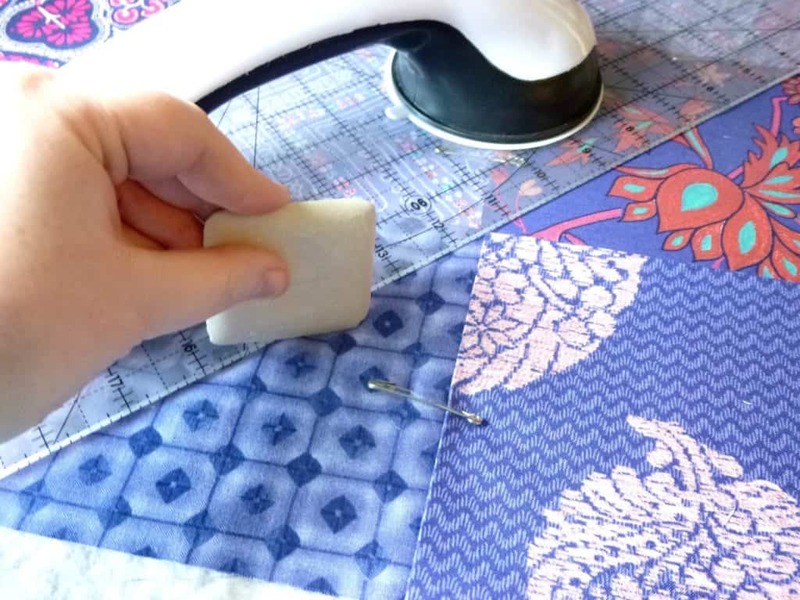 Skip the machine: If a quilting machine isn’t in the budget, and you prefer to quilt your first project yourself, consider sewing it by hand. Sure, it will take longer, but it will save you loads of money. Having an organized craft area is essential for my productivity—and sanity! There are countless ways to organize your supplies and materials. I keep it simple with clear storage containers and pencil holders for my most-used items. Be sure to gather all of your supplies before starting a project to make the best use of your time. Now that you have everything you need to get started, it’s time to create your first quilt! This video tutorial by Melanie Ham is a wonderful resource. Melanie uses a sewing machine and pre-cut fabric to simplify the process. Pat Sloan’s Teach Me to Make My First Quilt will walk you through the entire quilting process, and there are pictures in addition to text. Pat’s book on beginner machine quilting is also an excellent resource. The Beginner’s Guide to Quilting by Elizabeth Betts includes 16 quilting projects ideal for the complete beginner. You’ll learn a variety of techniques with easy-to-digest instructions. 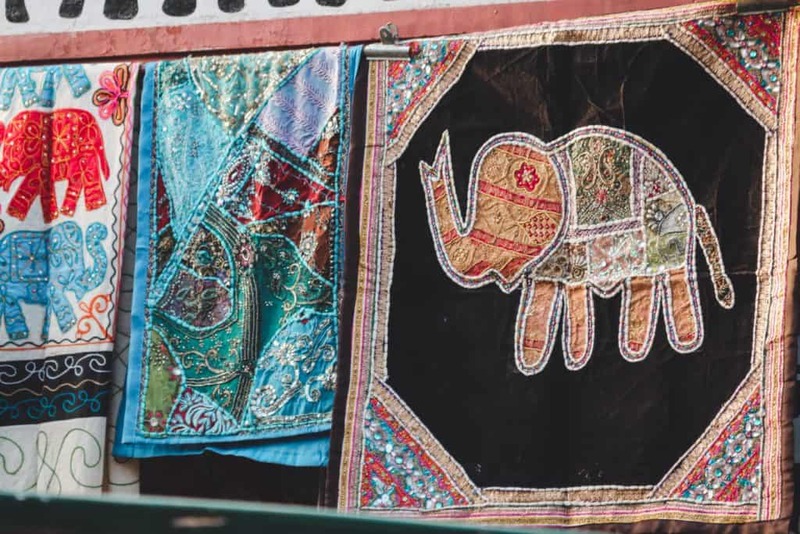 Whether you’d like to connect with fellow quilters in person or online, there are plenty of places to find likeminded crafters. As mentioned previously, Quiltguilds is an excellent resource to help you find groups in your area. There is also a directory of quilting guilds on the Generations Quilt Patterns website. For those on social media, there are endless ways to connect. There is a warm and welcoming community of quilters on Instagram and Pinterest, where you can find inspiration and tips. And if you’re on Facebook, consider joining a quilting group or two. These groups tend to be warm and welcoming, and they are filled with photos of quilts in progress and finished creations. I hope this beginner’s guide has inspired you to start your quilting journey. Even if you’ve never picked up a thread and needle, you can create a beautiful quilt. Don’t hesitate to ask for help when you need it, and most importantly, enjoy your crafty adventure. Happy quilting! Hey! Thanks for checking out my beginner’s guide to Quilting 🙂 Whether you love to get creative with fabrics, enjoy the challenge of following a design, or want to make a quilt as a gift, you’re in the right place to get started!